Every where you turn you hear that another business is going to be using social media in their marketing arsenal. This is reinforced by surveys and polls of organizations confirming an overwhelming number of businesses are interested in using social media to market their operations. So, what’s a business to do? This list highlights the top social media outlets for doing business. Be sure to take the poll at the end of the list so you can see the results of what others are thinking. Just surpassing MySpace in the number of accounts, this social network has been a favorite of professionals because of its clean look. Look for applications in Facebook to address a growing number of business accounts and users looking to do business on the Facebook platform. 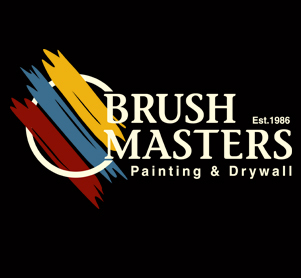 Find us on Facebook by searching for Brush Masters or by clicking here. 23% of people said they intend to use Facebook for business in 2009. Surely you’ve heard of Twitter. It is the fastest growing social network increasing accounts at the blistering rate of over 1,300% this year. Taking a cue from Scott Monty, it has been said that this network is best considered the equivalent of a conversation you would have with a friend at a coffee shop. With that said, for business purposes you may want to consider just who is sitting around you at the coffee shop before you post a “tweet.” Follow us on Twitter. 13% of people said they intend to use Twitter for business in 2009. Again drawing from Scott Monty’s “Social Network Shorthand,” this tool is like attending a networking conference, trade show, or business meeting. Chock full of business professionals, this is a must have in the social media repertoir. Both individuals working at a company and the company itself should be signed up on LinkedIn. If you run a small business you may have to set up a personal account (which you should do anyways) and add your business information. Larger organizations may find that there information is already on LinkedIn. Check out our company profile on LinkedIn. 23% of people said they intend to use LinkedIn for business in 2009. The two services listed here are some of the more popular weblogs or blogs. Best of all, they have free versions to get you started – WordPress.com and Blogger.com. A blog can be used for in-depth information. It’s a good place to give people (customers, business partners, potential or current employees, future clients) a taste of what your company is like to work with and who you really are. You can get help with your blogging skills at ProBlogger.net, which also has an excellent book out, find it here. Check out Brush Masters blog. 13% of people said they intend to use Blogs for business in 2009. This can be used in conjunction with your blog to create a sense of community between the outside world and your company. As with all of these social media outlets, you will want to think about the content you post and what your viewers or readers want to hear about. Watch our videos on YouTube. 6% of people said they intend to use YouTube for business in 2009. This social media is based upon the open source movement. This means that content can be started, edited, and revised by any user. The type of Wiki that our organization uses has an open source atmosphere but is only open source for employees. In essence, it is a private resource only viewable by employees. A wiki is best used for collaborating on projects and sharing information to groups. Click here for a free private or public Wiki. Also, consider starting or editing your organizations Wiki on Wikipedia, one of the largest Wiki’s in this space. 3% of people said they intend to use Wiki’s for business in 2009. These social media outlets let users write, share, submit, and rank stories. You need to sign up for an account (Digg, StumbleUpon, Del.icio.us, Reddit) in order to get the full benefit of their services. If you create a list, such as this one, and want to share it with the world, this is a good place to add to the above outlets. 0% of people said they intend to use New’s Sharing Sites for business in 2009. If you do business internationally (outside of America), you need to be aware that LinkedIn and Facebook may not be followed as much as in the United States. To read up on how to use social media for international business, follow Cindy King, who is an expert on how to use social media outlets in the international arena. Bebo was AmericanOnline’s (AOL) version of social networking and is still popular today in international circles. Xing considers itself a social networking tool for international business professionals. These are just two of the many players in this arena to keep an eye on as business becomes more interconnected. 0% of people said they intend to use International Sites for business in 2009. The magazine’s listed above are fast becoming large players in the social media space, and with good reason. They naturally have a userbase and distribution system that has attracted business people to their publications. A natural extension of these organizations is in the social media outlet arena. Business Week’s “Business Exchange” is fast becoming a major player for like-minded business professionals to find relevant content to grow your business. FastCompany has created a community for businesses leaders to connect with each other and share knowledge. 3% of people said they intend to use Magazine’s Social Media Arms for business in 2009. In the next couple of years, your website will be a distribution arm for all of the above social media outlets. Visitors to your site need to be able to find what your producing by visiting your website. So, links to your blog, YouTube Channel, Twitter account, LinkedIn profiles, etc. need to be on your web site. 16% of people said they intend to socialize their Website for business in 2009. These social networking sites leverage the use of mobile devices (i.e. cell phones, smart phones, iPhone, Blackberry, Android phones) to let users “check-in” at venues and locations. BrightKite and FourSquare are two of the more popular examples of geographic or location base applications. FourSquare awards users points in order to earn badges and become the “Mayor” of a particular venue. If you have customers, particularly vocal customer, chances are that at some point your business will be reviewed online by a customer. The most popular review sites are Yelp, Google’s Local Business Center, Merchant Circle, Yahoo! Local Listings, CitySearch, and Insider Pages. Register or claim your company profile, post a photo or logo, add your address and contact information, and sign up for review alerts. Additional information about this topic can be found on “The Marketing Zen Group’s” post.